I teach because it feels natural. Being at the front of the room is comfortable because it allows me to create. I am recognized for my love of sequencing and creativity designed within the framework of a class. There is nothing flashy, trendy, or incredibly innovative about it, except that I am constantly present with what I am teaching, constantly looking at my own practice and seeking out what is valuable and offering that out. My teachings may stretch beyond traditional yoga with the influence of other forms I study which inspire me; sculpture, poetry, therapeutic body work, pilates, travel, and so much more. Regardless of what I teach, what style, level, or form, I am always trying it on, learning what is working, and what can be let go of. 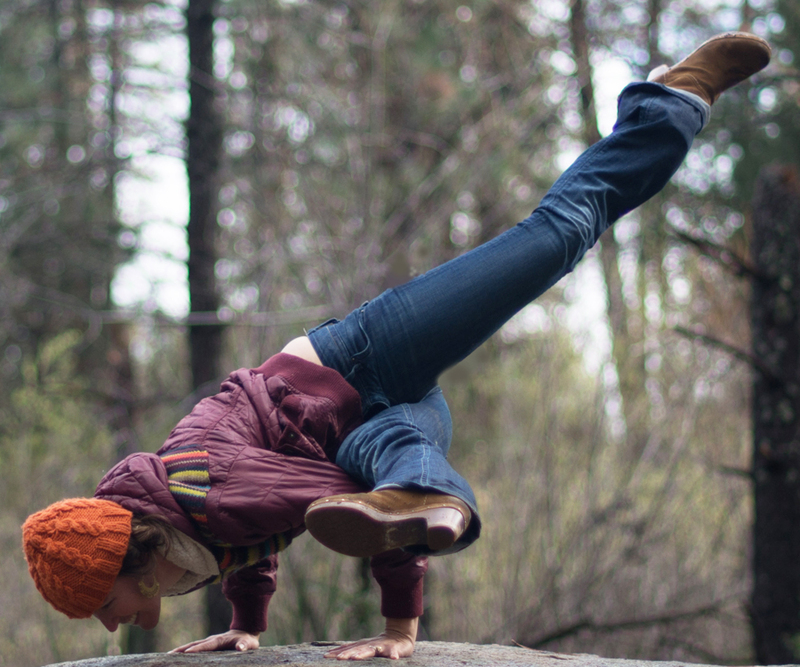 Mandy is the founder of Kinfolk Yoga Studio in Northern California. 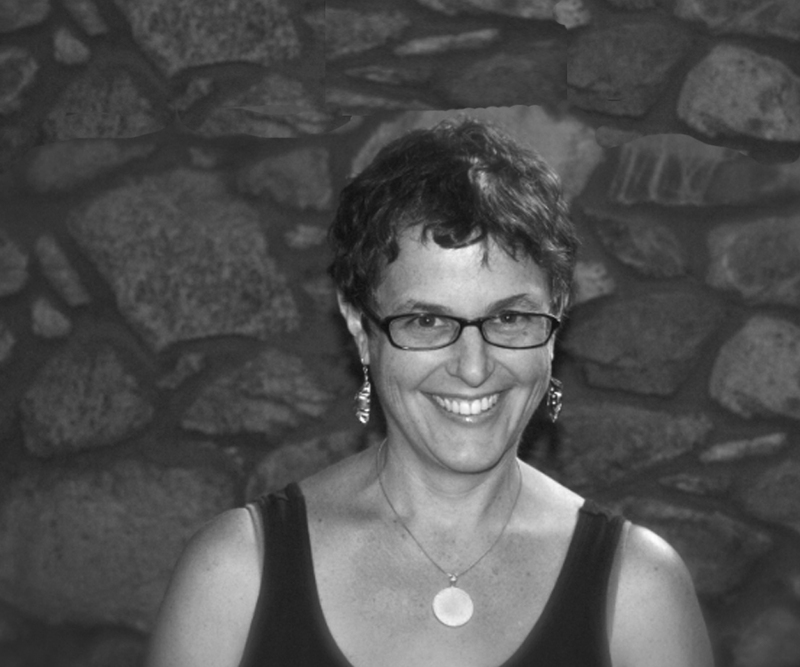 She facilitates teacher trainings, teaches workshops and retreats. She has completed teacher trainings in Astanga, Anusara, Restorative and Therapeutics, and Tantric Hatha Yoga. She has a Master's Degree in Art and expresses love through graphic design and clay sculptures. Her life of art touches all aspects of her practice and teaching. 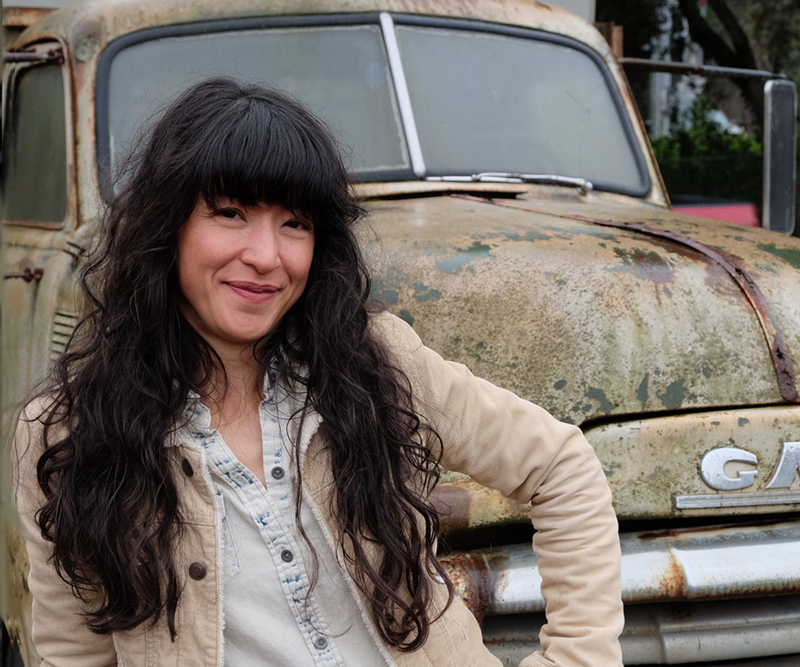 Abby is a Lover of the Wild, Yogi, Earth Skills Instructor and Herbalist. She has been on the Yogic path now for 11 years. Through Nature and Yoga, she has found solace and empowerment to move through many challenges in life, ultimately transforming the way she moves in the world and supporting others in doing the same. 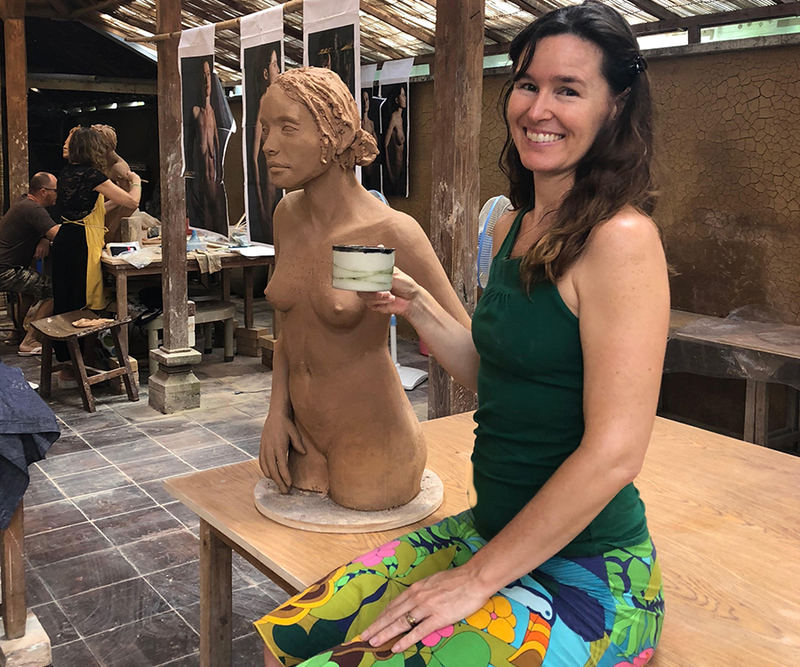 She has completed the Sage Apprenticeship with The Wild Temple (200 YTT) and extended her studies, completing Alchemy of Transformation in Khajuraho, India in 2018, with Brooke Sullivan and Daisy Marquis. 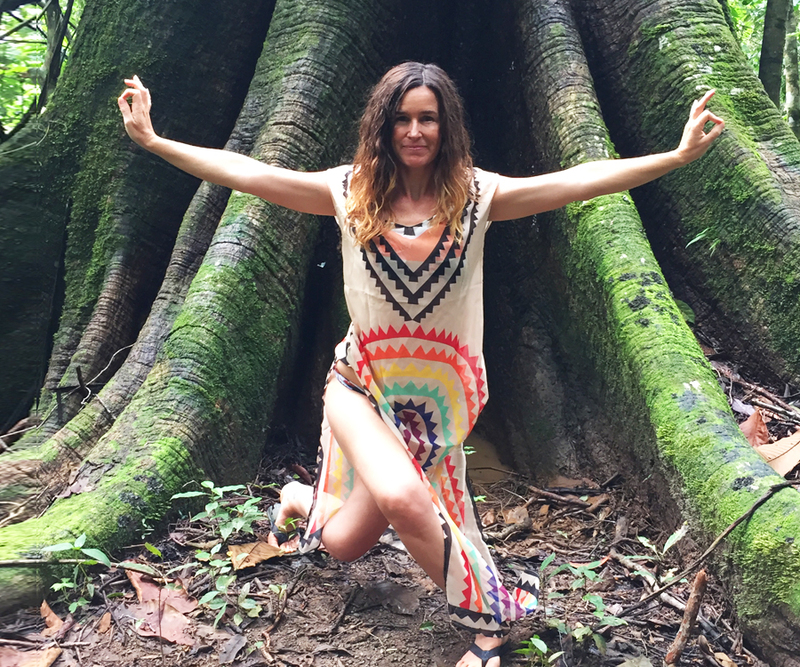 She brings her passion for life and transformation through subtle energetic shifts and steady effort, in rhythm with Mother Earth, into each class she teaches. I believe in the Yoga, that through its practice we come home to ourselves. Yoga reminds me of my place in the world... in this body with this breath. That I'am safe and whole onto myself. I feel that when we cultivate and intimate relationship to body and breath, we expand our capacity to move through life with more presence and therefore grace. I believe that yoga is more than what happens on the mat or in meditation, but touches every area of our lives. Yoga offers us a greater understanding of our ability to be with it all and draw serenity from within ourselves and shine it out in the world. I cherish the opportunity to practice and teach yoga with others. To use poetry and self reflection as a doorway that opens us up to yoga is a gift that I share joyfully. It is my hope and intention to offer practitioners the chance to take time and go deep within themselves and infuse their practice with a connection to source. Using asana and pranayama as a mode of transportation to realms within, and as a lightning rod to call our highest good to us and through us. I hope to share my practice with you and that it feeds and nurtures you as deeply as it does me. I have practiced and studied yoga for many years and just recently decided to step into the role of teacher. My 200ytt was achieved through the Wild Temple with Brooke Sullivan and my ongoing muse and inspiration is Mandy Lucchese of Kinfolk. Yoga for me is conscious action throughout everyday life. Cultivation of this in practice helps to emanate that feeling tone. I seek to empower and nurture the body/soul and facilitate connection to oneself in the practice of yoga. My yoga is influenced by tantric hatha yoga techniques, wise sequencing, pranayama, ayurveda, restoration, and the cycles of nature. I took my first yoga class in 2010 and this was truly the beginning of an ongoing journey to heal my self, body-mind-spirit. In 2014, I took a 200 hr hatha training with Kim Miller in Colorado. Coming to Grass Valley in 2016, I discovered the teachings of Brooke Sullivan and began studying at The Wild Temple in 2017. These teachings greatly influence my current practice and I am ever grateful for the krama(steps) that ground and cradle me sweetly as they continue to lift me higher. I have completed 200 hr RYT with the sage apprenticeship and I am in the process of completing 300 additional hours. Forever grateful to my many teachers, my community and family for the support on this journey. Feeling the flow of life, ever-changing and ever growing. We can always choose to show up, practice and breathe. 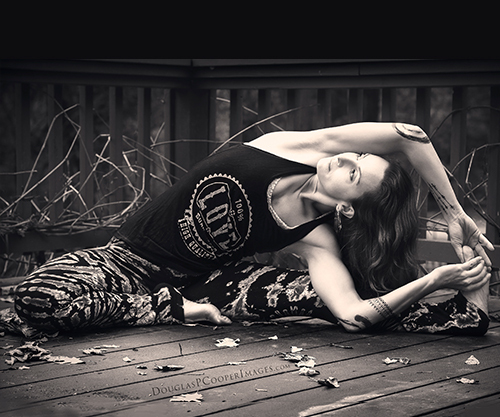 I’m a yoga teacher, an educator, a story teller, full blown anatomy geek, a podcaster and I want to help spread the transformative powers of yoga and self exploration. A long-time explorer of the wisdom & practice of Yoga, Barbi draws inspiration from many lineages including classical Hatha, Iyengar, Ashtanga and more recently "Embodied Flow", a continuum of movement and expression. Within her own practice and in her teaching she aims to facilitate a sense of ease, strength and connectivity in the human form, which in turn empowers an expanded & integrated awareness through the body-mind-spirit. Her classes explore the dynamic of finding stillness in movement, and movement in stillness. She teaches yoga and singing between her two homes of Nevada City (CA) and Byron Bay (Australia). 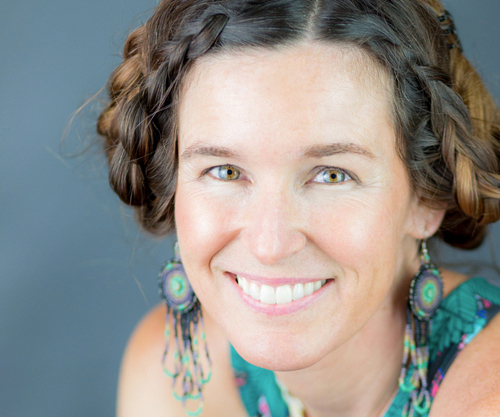 Brooke (BA,e-ryt500) is a senior teacher of ParaYoga® (a system that embodies Classical Yoga, Ayurveda and Sri Vidya Tantra) and a student of the Himalayan Institute of Yoga Science & Philosophy. Her passion is to embody the sacred while having fun! Brooke’s classes focus on energetics, sequencing, sound therapy, breath & powerful tools to shape the mind. Her dedication to yoga and the healing arts is driven by 15 years of experience in the yoga, herbal, midwifery and dance communities. She has a deep desire to understand and connect to the beauty and joy in all life and in people, being inspired and inspiring others with the ancient and mystical wisdom that lights all hearts. To me, yoga is one of my most sacred and effective practices in self-discovery. The magic of what happens on the mat, in a space of listening and receptivity, is nearly ineffable. It’s my intention to share the inspiration I’ve received from both my personal practice and my teachers with my students. I teach a grounded yet playful alignment based vinyasa, encouraging students to practice tapped into the fountain of love that dwells within the space of the heart. All levels of practioner will benefit from this class, as modifications are offered to suit individual needs. Yoga, to me, helps us redefine what it is to be alive. Through sacred and intentional movement, we realign ourselves with our receptivity and the deep well of wisdom that is inherently within us. Focusing on the nourishing connection between each pose, I teach to unite mind, body and spirit by balancing the elements of our being with the powers of the cosmos. Using astrology,ayurvedic insights and tantric philosophies, I intertwine ancient knowledge with the practices of the modern mystic to weave a practice that potentizes our embodiment of life itself. My personal journey with yoga began synonymously when I began my journey as a seeker. Thirsting for a deeper connection to myself, my yoga practice blossomed as I began to unearth the gem of my inner knowing. Helping me to shed the layers of uncertainty to unveil my innate wisdom, yoga has become my yellow brick road home I take time and time again to bring me home. My intention for my yoga classes is to help my students come back to themselves. Guided by the moon, my classes establish a foundational flow with clear intention to welcome and illuminate the subtle layers of our being so that we can light the world around us. I believe in the inherent gift of yoga to illuminate our authentic embodied presence. Within a world of chaos, over stimulation and distraction, we all seek something greater, something that will bring us back inside, to our center, to our heart. My practice of yoga has transformed over twenty years, from a spiritual practice of strength and flexibility, to a more therapeutic practice of learning to pay attention to what my body truly yearns for. And now, I have added the component of psychology, to fuse body awareness, mental clarification and heart connection. In this way, we learn to integrate our yoga practice on and off the mat, and out into the world, with embodied awareness. I hope you will join me in this exploration. Elena Rayo began her healing journey 23 years ago upon moving to Nevada City. Through her studies of singing and Qigong, she has learned the true meaning of healing from within using energetics and sound. Elena's strong desire to share her love of the transformative power of the ancient art of Qigong has led her to teach workshops both locally and abroad. She also has a private practice as a certified Medical Qigong Practitioner. Sanctuary as a yoga tapestry of classical hatha, tantric kriya and elements of your personal divine embodied as a tool for mindful self-discovery. Gentle stretching, balancing and strengthening movements (asana) woven with breath (pranayama), focus (dristhi) and guided visualization (yoga nidra). Within the temple of heart the wisdom of self is harnessed. We will safely expand this awareness of the quantum energetic hologram and Self. All levels of experience and flexibility benefit, especially you seeking inner peace and therapeutic stretching. Designed for the student looking to develop a solid foundation. Lotus Levin (BA, e-ryt500) is a yogini, ayurvedic and massage bodyworker offering a lifetime of compassion and passion in the healing arts. Lotus' childhood roots developed in the fertile grounds of Bhaktivedanta and Sivananda Vedanta Centers, Chicago. She is a Yogananda Kriyabahn with SRF and received Hatha Certification through Temple of Kriya Yoga, Chicago. 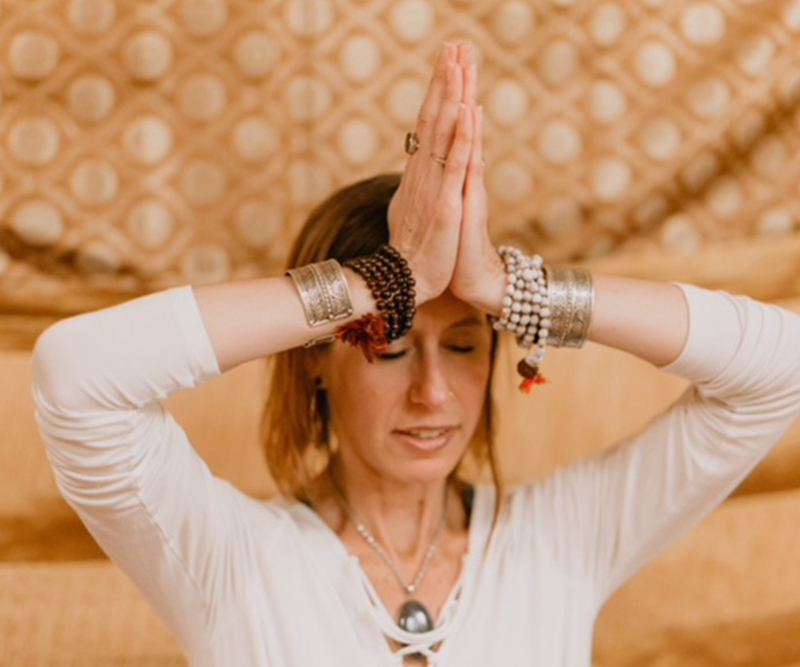 As Owner/Director of Ajna Yoga (Chicago) and Lotus Healing Sanctuary (Nevada City), Lotus explores the yogic paths with bhakti for self-realization and healing. My relationship with yoga began on a quest for self healing. My daily practice has strengthened my faith, deepened my connection to Spirit and it has expedited my healing! I share this practice because I know with conviction and certainty that it works! Yoga has transmuted darkness into light, grief into love and fear into faith! I create a safe space for playful exploration and inward reflection. My intention is to meet individuals at their comfort level, honoring where each of us are along our paths. Bring your whole self to life! My classes are inspired by vinyasa, restorative, ayurveda and trauma-informed yoga trainings. I'm also trained in Transcendental Meditation. As a student, my practice has uncovered invaluable, precious truths. As a teacher, I strive to hold space, with a joyful heart, as we come together to unravel these truths. Essence is truth; who we are beyond our human perceptions. It's an exquisite dance, ever changing. To find yourself effortlessly in flow with the natural rhythm of creation is to know your essence. I achieved my 200 hour certification through YogaWorks, in 2016, with Alicia Cheung and Oliver Reinsch. I am currently training as a yoga therapist with mentors Amy Wheeler & Jorge Luna. I am a lover, and a practitioner of the ways of the heart. I infuse poetry with alignment and flow with self-expression to facilitate self-love & tenderness. In a world marred by unavoidable suffering, there is no better feeling than to be welcomed and accepted as you are in a room of mixing souls all on their own journey. Hope to see you there. Blessings! It is the fascination of the human body, somatic discovery and self-care that fuel my desire to teach. My yoga & movement journey began over 40 years ago with spiritual study, meditation, asana and a varied assortment of bodily approaches. My passion is helping you connect to &amp; move better in your body, increase your overall strength, decrease pain, and step into wholeness. I invite you to the inner sea of felt experience, resulting in a deeper understanding of your embodied form. I hold unconditional space for all beings and all feelings are welcome here. My teaching is based on my expertise as a Certified Yoga Therapist, Integrated Yoga Tune Up® and Roll Model Method ® Instructor & practitioner. Classes will challenge your brain and body in new pose orientations, and joint explorations, then woo you into bliss with delicious myofascial release work. My journey with yoga began, initially, as a way to loosen my ever stiffening body. However, as my journey began to unfold I realized that asana was an invitation for me to venture inwards and begin cultivating a relationship with Self, through mind, body, soul integration and communication. Now yoga and meditation is an essential part of my daily self-care and well being. Since stepping onto my mat, 8 years ago, my personal growth and expansion has been exponential as I humbly uncover layers to Self. Last summer I furthered my practice and studies by completing my 200hr RYT training with Brad Hay in Denver, Colorado. I am grateFull to have yoga and Ayurveda as a resource and tool to help me better navigate this life experience. I am forever grateful to my guides lighting the way: Swami Sivananda, Swami Vishnudevandna, Swami Sitaramananda, Mandy Lucchese, Kelly Golden, Annie Hopper, Chrisandra Fox Walker, Pete Guinosso and Dina Amsterdam. I believe Yoga is the very bridge that connects our mind’s highest truth to our soul's deepest integrity. My devotion to the path of Yoga began about a decade ago, in my home country, Turkey. Hearing the calling of deep need to heal my unresolved depression and as a consequence, a herniated disk on my lower spine guided me to delve into practices that were more physical and tangible. They benefited my body so much, but I wanted more than just that. Feeling within the transformative power of Asana (posture), I began to delve deeper into the Pranic (energetic) aspects of Yoga and since then consistently have been practicing yoga and meditation. I have begun to see through breath and focus, cultivation of life force can repair our bodies and souls beyond limits and transcend into freedom, peace and wisdom. With Honor and Homage to my ultimate teacher Krishnamacharya and All my guides and teachers, I have studied and completed certified trainings under Classical Hatha Yoga, Traditional Astanga Yoga (Mysore Style), and Intensives in Traditional Iyengar Yoga, basic Ayurveda in the Himalayas, Northern India. I have completed trainings under Tantric Hatha Yoga and still am a devoted practitioner and currently a student of Sage Apprenticeship program, a system that embodies Lineage of Sri Vidya Tantra & Para Yoga (which weaves Ayurveda, Tantra, Classical Hatha Yoga) with my dear teacher Brooke Sullivan in California which a lot of my teachings currently are inspired from.